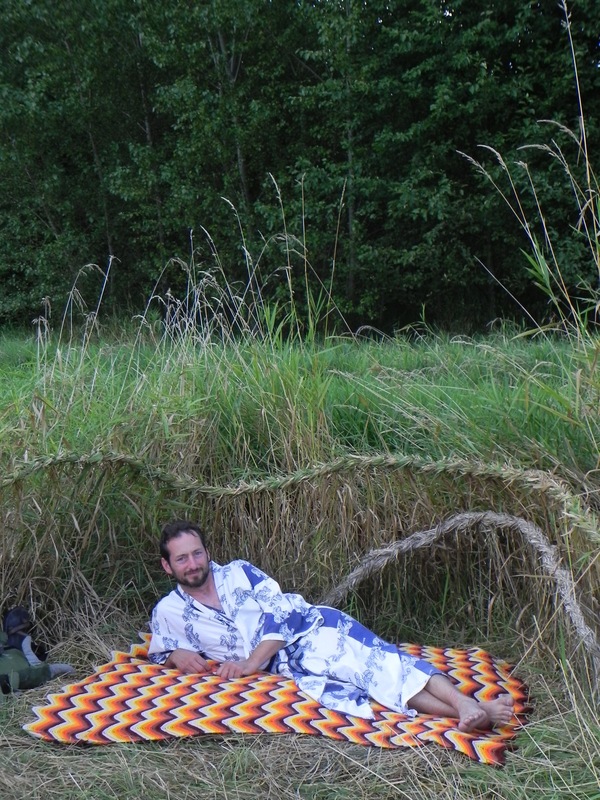 Lounging in style at the Woven Grass Nightclub. The old, dried out braids from the previous years’ installation were still totally intact, and are easily visible beside the new ones. Smoke Farm Lo-Fi Art & Performance Festival. Woven Grass Nightclub, Sarah Kavage & Adria Garcia. Copyright 2013.